This entry was posted in Betsy DeVos, Bill Lee, Vouchers and tagged David Byrd, Glen Casada. Bookmark the permalink. Every Governor has his water boy and Casada is the chosen one for Governor Lee. 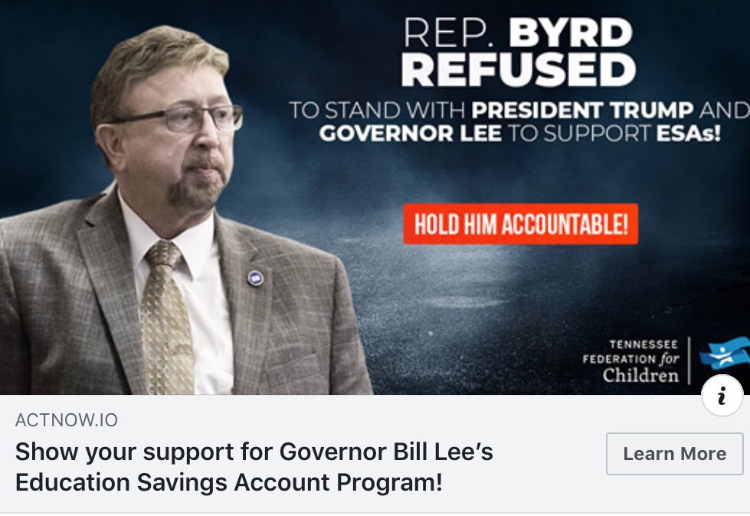 Byrd was right in voting against this funding scheme that will do NOTHING to improve education but it will sure make Lee’s American Federation for Children happy. It has been proven vouchers as well as Charters do not deliver as promised and that is because what they promise is lies. If they told people the real agenda behind voucher and charters the people would run them out of town.